The Red Storm will look to cap a perfect season Saturday after going 10-0 in the SMAA and winning the league's North title. After failing to qualify for the state Class A team golf championship last year, Scarborough is back with its best chance to win it all. 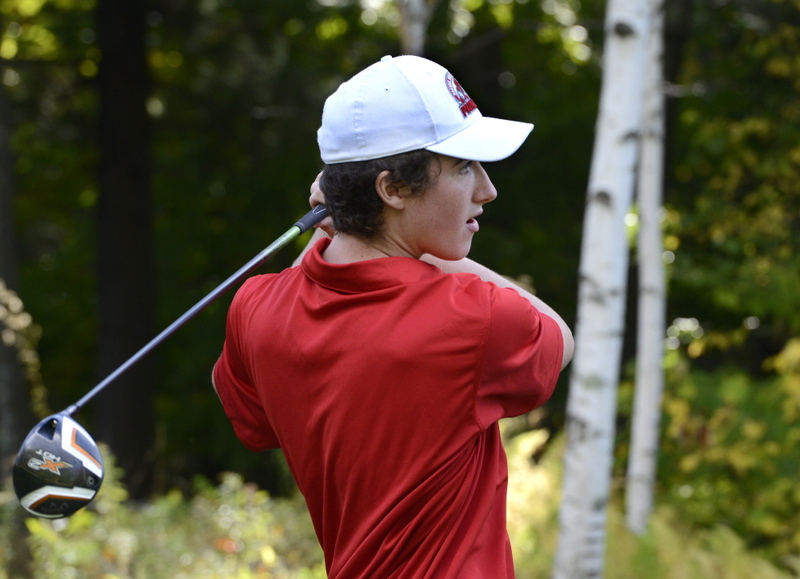 The Red Storm take a 10-0 regular-season record and the SMAA North title into Saturday’s state team tourney at Natanis Golf Course in Vassalboro. 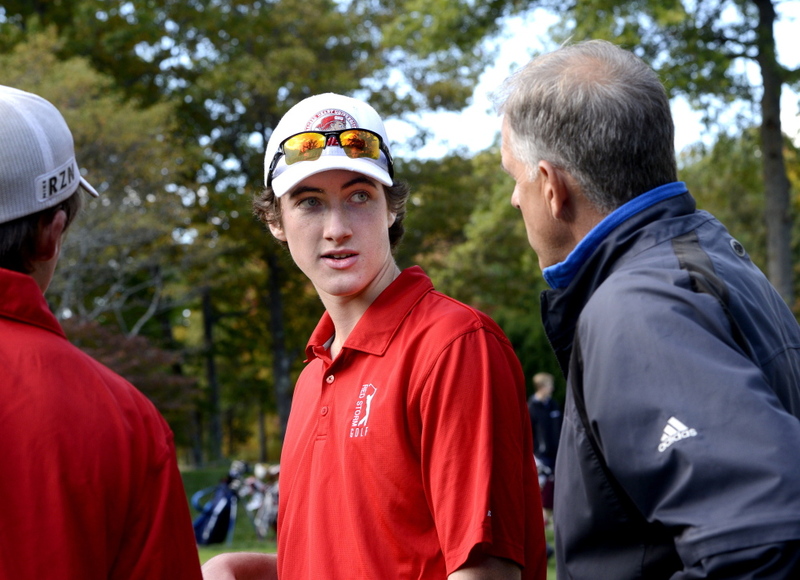 Scarborough, one of the six SMAA teams in the event, never has won a golf team state title. The Red Storm last won a league North title in 2004. In Murphy’s 26 seasons, this will be Scarborough’s 10th appearance in the states. The Red Storm made it three straight years (2010-12), with a school-best fifth two years ago. Joining Scarborough at the states will be Thornton Academy, Marshwood, Gorham, Greely and Falmouth. Counting four cards out of five, the Red Storm scored a 315 in SMAA team and individual state qualifying Monday at Natanis. The same format will be used at the states. The five players for Scarborough will be Drew Kane, Mitchell Wedge, Braeden Kane, Chandler Langlois and Nate Roberts. Drew Kane, Langlois and Roberts also qualified for the individual championship next week. Saturday marks the first of two straight weekends of state championship play at Natanis. After the team championships in classes A, B and C, the boys’ and girls’ individual championships will be played Oct. 18. The boys will have champions in classes A, B and C, and the girls will have one overall champion. At the qualifier Monday, Drew Kane shot 74 and Langlois 75 – a career low. Chris Billings of Cheverus was the low qualifier with a 73. “I have a player at the top of our lineup who is one of the best in the state and proving it,” said Murphy. “Drew Kane has the ability to recover if he hits a poor shot, which is rare. He doesn’t get intimated. Golf is one of the toughest games you can play but Drew leads us. Langlois said the team is focused on winning the school’s first state title. It will take four out of the five players on their games. He acknowledges the competition will be tough. “I’m hoping we break what we shot at the qualifier (315),” he said. At the Western Maine Conference qualifier Monday at Willowdale Golf Course in Scarborough, Cape Elizabeth easily won with a 317 total, outdistancing second-place Fryeburg Academy by 37 shots. Fryeburg qualified, as did Oak Hill, York and Lake Region in Class B. North Yarmouth Academy qualified from Class C with a 356. Reese McFarlane of Cape Elizabeth was medalist with a 71. Teammate Ryan Collins was next with a 77. McFarlane and Collins qualified for the individual tournament, as did teammates Nate Ingalls, Ross LeBlond and George MacKenzie.